The warship was commissioned in the late 1800s. While in the South Eastern Seas, it had to be scuttled to save the precious cargo. Wars have somehow managed to bring out a broad spectrum of outcomes, from the social to economic to psychological, when cultures have clashed, their remnants not only shaped that time but have also given us perspectives and viewpoints to reimagine the happening times of glory and conquest. However, they also leave behind some tangible things that are far differently important in the current times. But such finds become much more interesting when they are valued for $113 billion, and the material is gold. 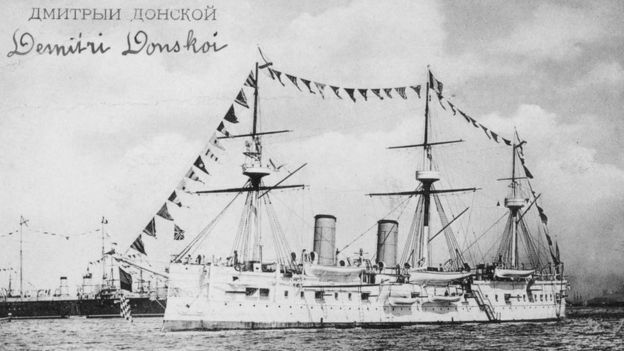 While working in the seas off the coast of a South Korean island, The Shilin Group discovered the Russian warship famed as Dimitrii Donskoi. 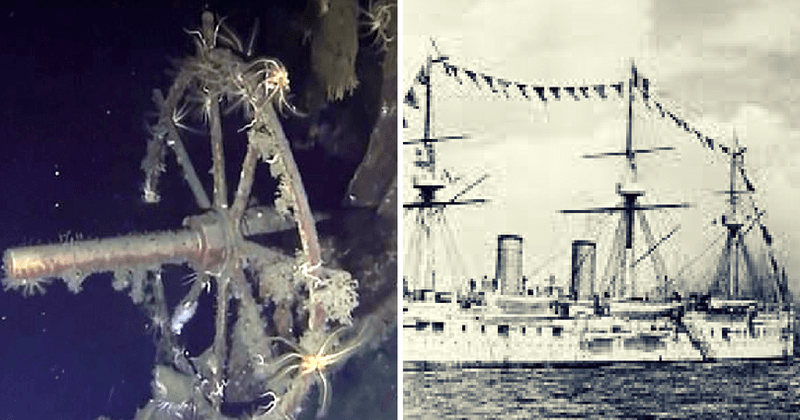 The ship was found 113 years after it was sunk, 1400 feet below the sea level and a mile off Ulleungdo island's coast, a report by BBC confirms. The Russo-Japanese conflict of 1904 was a series of battles fought for the control of Manchuria and Korea, after Russia had refused to withdraw their troops from Manchuria. 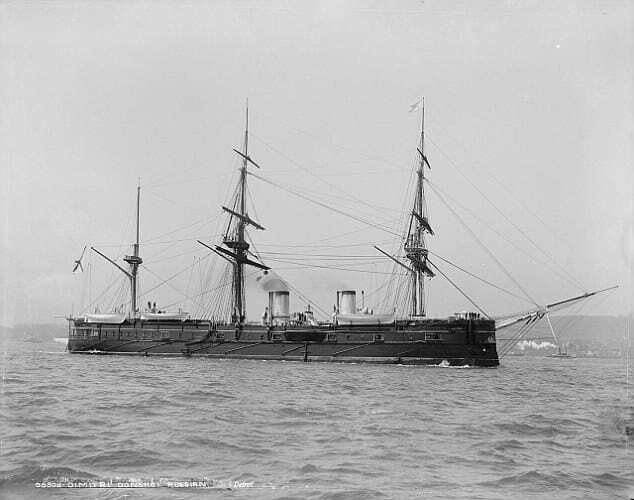 And the warship that found earlier this week was one of the vessels to present in the Battle of Tsushima, that was fought in the Sea of Japan. It was the island of Ulleungdo in 1905, which saw the last of this ship. When the Japanese had won the Battle of Tsushima, they were coming for the spoils of war. Dmitrii Donskoi's crew had made the tough decision to scuttle her, which was the only way to stop the Japanese from getting their resources. The armored cruiser was designed for commerce raiding and efficient coal consumption. After spending her early years in the Mediterranean and the Baltic seas, it was sent to the Pacific ocean. 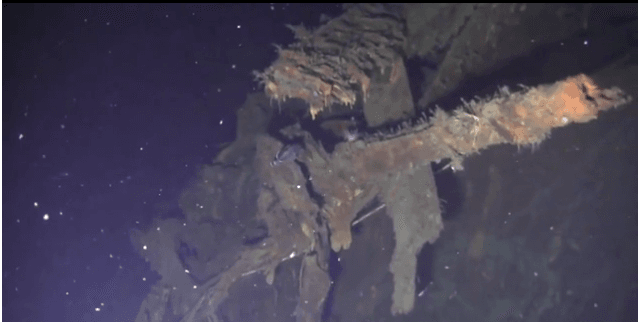 Its exact resting place remained a mystery until two manned submersibles piloted by the explorers of the Shilin Group captured footage of the warship’s remains. The gold carried by the Donskoi is believed to be sent for the whole of Pacific Fleet of the Imperial Russian Navy. When the battle of Tsushima was concluded, Donskoi had suffered damage enough to keep it behind their fleet. When the Japanese had come to finish what remained of the Russian forces, the crew onboard Donskoi chose to let the ocean have it all. 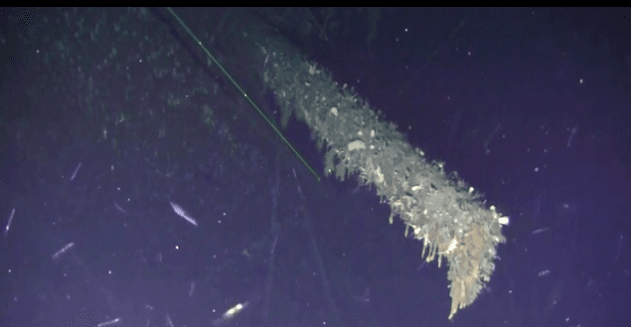 The Shilin group has finally managed to find the wreckage, amidst many claiming of the ship's existence and the rumors of Russian gold on it. However, The Shilin Group has yet to apply for salvage rights to South Korea's Ministry of Maritime Affairs and Fisheries, which requires the company to pay 10% of the estimated worth of the wreck. While this amount could very well be more than the company's worth, The Shilin group is yet to hold a press conference on the matter.